The Sun moves into mysterious Scorpio on October 23, 2018, inviting you to delve into the Underworld and investigate what's hidden beneath the surface of everyday life. The Scorpion's goal is transformation at the deepest level, by bringing light to shadows and secrets and cutting through external appearances to uncover the core of truth. Like the snake -- one of the animals associated with Scorpio -- this sign teaches that shedding the old is sometimes necessary for new growth, and that death is an essential part of life. As autumn starts to fade into winter (at least in the Northern Hemisphere), days grow darker and signs of death and decay abound in the natural world, reminding us of our own mortality. It's not a coincidence that Halloween, All Saints Day and Day of the Dead happen during the Scorpio season. The veil between material reality and the realm of spirits -- the visible and invisible worlds -- is said to grow thin, heightening our ability to access magic and connect with those who have passed. Find out where you're being called to look beneath the surface, release the old and transform at a deep level by looking up your horoscope sign below. 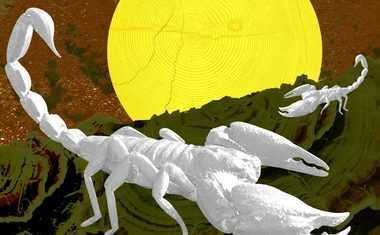 The Scorpio Sun brings healing and regeneration to your 8th House of Intimacy. Intense feelings that arise -- desire, passion, jealousy -- remind you of what's really important and inspire you to release what gets in the way of emotional fulfillment. This is not the time to go it alone -- instead, focus on merging energy or resources with a trusted ally to produce a more powerful influence. For best results, let go of the need to be in control. There's a change brewing in how you relate as the Sun beams the light of transformation into your 7th House of Partners. Uncover the roots of any relationship-related ruts and take steps to release old patterns. You don’t have to be self-sufficient now -- showing vulnerability and asking for support are the ways to move forward. If your feelings about a special someone are intensifying, take the risk of expressing your passionate emotions. 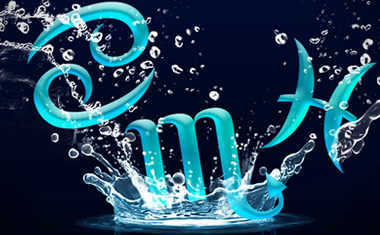 The Scorpio Sun fuels your 6th House of Work and Health, motivating profound changes in these areas. If you're feeling dissatisfied with your job, it's time to take a deeper look at your true path of service and investigate how to align your work with your passion. You can improve your overall well-being by getting to the source of chronic issues and releasing unhealthful habits. Revitalize your daily schedule by letting go of commitments that feel draining and making room for what really matters. Get passionate about having more fun as the Sun visits your 5th House of Pleasure and Romance. Take a deeper look at the elements of your life that truly feed your joy -- and those that inhibit it. What might you need to let go of in order to experience more happiness? Your creativity is also ready for regeneration and you yearn for more authentic self-expression. Take the risk of revealing your inner world and write, paint, dance or sing your feelings. 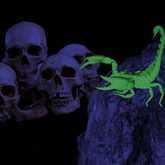 The Scorpio Sun in your 4th House of Foundations calls you inward to discover deep sources of nourishment and power. Your memories of childhood and family past are stirred up now. Cleaning out -- or at least airing out -- the skeletons in your family closet releases a potent surge of energy that helps you build a stronger, more solid foundation. Getting in touch with your passion revitalizes you, while, on a physical level, cleaning out your home helps shift stuck energy. Bringing focus and power to your mental realm, the Sun visits your 3rd House of Thinking and Learning. Your mind is even stronger than usual and ready to travel into the depths to root out the source of ongoing anxieties and worries. Changing how you think can go a long way toward changing your life. You're longing to connect with others in profound ways -- don't hold back -- speaking your truth is the route to growth and transformation right now. As the Sun visits your 2nd House of Money and Possessions, channel this ardent energy into putting your finances in order. Hidden financial issues may come out of the shadows, alerting you to what needs to be cleaned up. At a deeper level -- and Scorpio loves the depths -- the 2nd House is about self-worth. Look beneath the surface of any material-world concerns and consider how you are valuing yourself, your time and your energy. Happy Birthday, Scorpio! You're in your element this month, and your personality shines as the Sun lights up your 1st House of Self. Tap into the power of regeneration by releasing past hurts and disappointments -- it's time for a fresh start. Buying new clothes, changing your hair style or otherwise renovating your look will help invigorate you for this new cycle. Your outlook is also ready for a revolution -- seek a higher perspective by consulting your favorite form of divination. The Scorpio Sun sneaks into your 12th House of Spirit and Secrets, signaling a time for retreat, reflection and restoration. You have the opportunity to get to the root of any self-sabotaging behaviors and to release these old habits. Slow down and take time out to attend to the deep transformation that wants to happen. Your dreams have important information for you about your next step. Next month these changes will be ready to manifest in the outer world. In your 11th House of Hopes and Wishes, the Sun fires up your enthusiasm about your future. Get out and network and you'll connect with people who can help you clarify your desires and support you in moving toward your goals. Although you usually prefer to go it alone, you can benefit now by teaming up with friends and like-minded acquaintances. Your combined energy has the power to transform groups, organizations and communities. Your professional life is ready for a renovation, as the Scorpio Sun calls on your 10th House of Career. Is your work in the world aligned with your deepest passions? Are there any obligations or responsibilities you need to let go of in order to focus on what you really want? You have the opportunity now to get deep insight into your true calling. Take action toward manifesting your mission -- just one small step in the right direction can make a world of difference. The Sun in your 9th House of Philosophy and Religion inspires fervent curiosity about life's big questions. Your faith is put to the test as you look behind the rhetoric to get to the root of what you really believe. Exploring different ways of seeing the world -- by visiting unfamiliar destinations or investigating various spiritual traditions -- helps you clarify your own convictions. Trust your heightened intuition to guide you toward your inner truth.